What can you do on ten thousand acres? Well, at Alisal Guest Ranch there’s a lot to do. The ranch contact information is as follows; 1054 S. Alisal Rd. Solvang, CA 93463. They have several phone numbers. For reservations ring (800) 4 – ALISAL or (805) 688 – 6411. Guests service number is (805) 686 – 7700. The spa number is (805) 686 – 7701. Email is info@alisal.com. They have a contact form on their website at http://www.alisal.com. Back at the ranch there are some 50 miles of trails to ride horses on or ride bikes, or hike. There’s always the possibility of spying a bobcat, birds like hawks and eagles, and of course deer. This ranch boasts two golf courses. If that isn’t enough there is archery, tennis, fishing, boat rides, and wine tasting. For your comfort there are several studios and suites to choose from to stay in. For the Studio the price is $525. The Select Studio goes for $550. and the Deluxe Studio is $575. A one bedroom suite is $625. and $675. depending on how many are staying. The Deluxe Suite is $725. For kids the following prices are in effect: children two years and younger stay for free. Children ages 3 to 5 $55. and children six years and older $85. There are no TV’s or phones in the rooms, but there are fireplaces. So that sounds like a great trade off. There are phones at the lodge. Also there is internet access. If you want to relax take advantage of the spa service that include massages and facials. Horseback riding is the heart of the dude ranch experience and this one is not different. The Alisal ranch has added a several different horse programs. The Horsemanship Program for ages seven and older can learn more about horses and how to be around them. Learning how the equipment is used is also part of the teaching. This program is free. Another program called Introductory Horsemanship Skills has a cost of $65. attached and only five riders can participate at a time. Other rides are a Breakfast Ride. The price is $85. per rider. It starts with hearty cowboy breakfast then you start out on the ride. The Scenic Trail Rides are about two hours and cost $85. per rider. Evening rides which are offered June through August are also two hours long and priced at $85. per rider. If you need riding lessons they are part of the ranch experience. If you don’t ride a lot and would like to improve, that is a big possibility and is a benefit to take advantage of. This comes at a cost of $65. per rider. Children ages four to six can get an arena riding lesson for 30 minutes for $40. For kids who would like instructional lessons they are available for ages seven to twelve and go for an hour at $60. To wrap up other adventures to experience here there is a County Fair and rodeo for the months of June through August. Guests can participate or watch the cowboys as they show their skills in roping and riding and other rodeo events. The Rankin Ranch is family owned through several generations. Their contact information is P.O. Box 36 – HP, Caliente, CA 93518 with phone number (661) 867 – 2511 and Fax 661-867-0105. The email address is info@rankinranch.com and website is www.rankinranch.com. You won’t find a dull moment at this ranch. Something is always going on for kids as well as adults. Go on a hike, make a craft, or go on a hay wagon ride. After these activities and others everyone can join in at the barbecues and dancing; and pool tournaments. Horseback riding seems to be the favorite. Horses are available for the novice rider and the skilled rider. Spring Break – March 27 through April 12, Memorial Day is May 22 through 25, Summer is June 5 through August 23, and Labor Day is September 4 through 7. Two adults costs are $225. Three and four adults $200. Two or more kids under twelve are $200. Kids six to eleven stay for $175. Kids four and five stay for $150. A child in a single occupancy stay for $255. This is per person, per day, I believe. There are some other charges so be sure and check them out at the website. Along with the regular horseback riding, the guests can actually participate in a rodeo if they wish. The events to compete in are pole bending, barrel racing, and keyhole. I have always wanted to barrel race so I would be first in line for this event. All old west towns had a saloon and so does the Greenhorn. They serve various drinks and music and dancing is a part of the evening. Adult 16 and older $1,811. $1,630. Young Adult six to fifteen $1,377. $1,239. Kids 3 to 5 not applicable $905. Adult 16 and older $1,287. $1,162. Young Adult six to fifteen $1,060. $953. Kids 3 to 5 not applicable $645. Adult 16 and older $1,012. $913. Young Adult six to fifteen $831. $748. Kids 3 to 5 not applicable $506. Adult 16 and older $1,538. $1,385. Young Adult six to fifteen $!,171. $1,053. Kids 3 to 5 not applicable $769. Adult 16 and older $820. $679. Young Adult six to fifteen $677. $608. Kids 3 to 5 not applicable $410. Adult 16 and older $260. $235. Young Adult six to fifteen $215. $193. Kids 3 to 5 not applicable $130. Kids under 3 stay for free. The ranch, which is family owned, is located near Yosemite National Park that is in Bridgeport Valley. Imagine 26,000 acres to roam and ride in, what bliss that would be. Looks like they run cattle and you can join in. They have a cattle drive and cattle work to do in the spring and fall. To participate in any of these events it’s important to be an intermediate or advanced skilled rider. There are quite a few different dates and prices to consider. From May to November there is a host of packages to choose from. I’ll give a sampling, but probably best to visit the website to get exact dates and prices. To name a few starting with Memorial Day weekend, an offering of a four night stay starting May 22-26 and a three day stay May 22-25. Prices for the four nights for two people is $1,124. per person, kids 10-12 $953. kids 6-9 $635. and kids 5 and younger $252. One person is $1,268. For the three day stay, two people pay $927. per person, kids age 10-12 $776., kids 6-9 $517., under 5 $189. One person is $1,035. 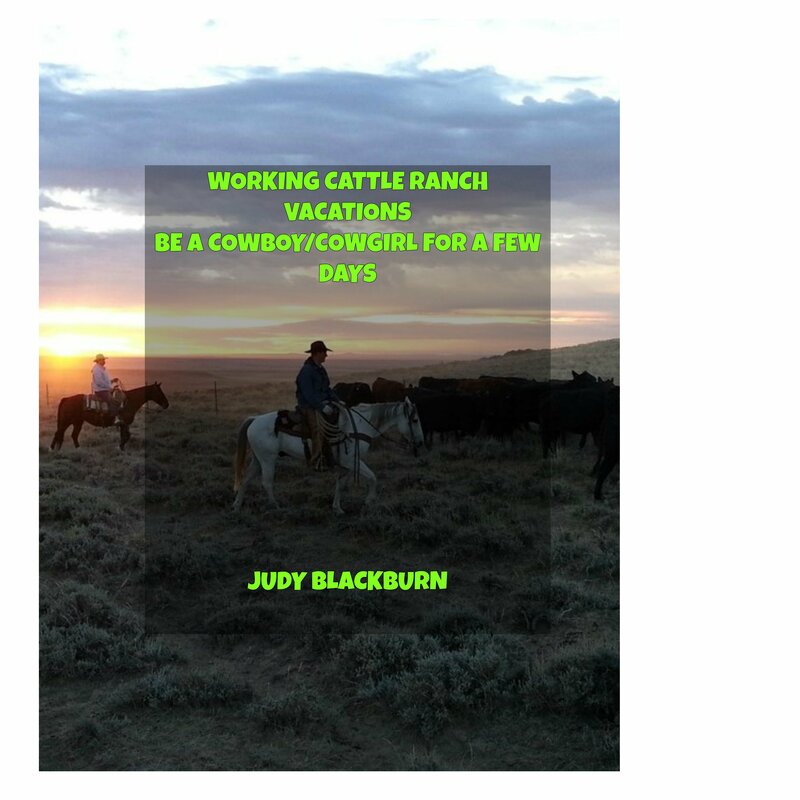 If you’d like to stay the four nights on May 26-30 for the Spring Cattle Work for two people it will be $1,124. per person. For one person by themselves is $1,268. There are other price rates for a Spring Into Summer Special, a June Jubilee, 4th of July Celebration, a Six Night stay that is a new feature. To continue with California guest ranch it’s good to include Coffee Creek ranch at 4310 Coffee Creek Rd, Coffee Creek, CA 96091. Phone number is 800-624-4480 or (530) 266-3343. Website is http://coffeecreekranch.com. There are a lot of fun things for young people to do here. The activities are broke down into age groups. Each group has different things to do like pony rides, panning for gold, fishing, roping lessons, learn to properly handle a rifle, hiking, horsemanship training, and swimming to name a few. Horseback riding is the main attraction and there are several riding schedules to choose from including morning or afternoon and also all day, and an overnight stay out doors. The ranch offers pack trips and hunting trips too. Senior Adult (55 and older) $1,238. Kids (3-5) $975. Children under 3 may stay for free. Trail rides, riding lessons, rafting and kayaking on the Klamath River is just the start of your adventures at Marble Mountain. To get there they are located at 92520 Hwy 96, Somes Bar, CA 95568. Phone number is 1-800-552-6284. Email is questranch@marblemountainranch.com. When you start out on the trail you are in the Klamath National Forest. There are miles of trail and views of valleys and mountains that are breath taking. Most of the horses at Marble Mountain are born and raised right on the ranch. They are trained here too. The wranglers know these horses very well and can match you up with the perfect mount for you to have fun on the ride. Kids (3 and 4) $1,200. Kids two and younger stay for free. Kids (3 and 4) $740. Stand alone cabins go for $125. a night for two people and $20. for additional occupants. A cabin with kitchen $145. The Quails Nest Deluxe home is $275. Thank you for stopping by my hitching post. Please leave a comment or ask a question. I’ll do my best to answer. HUGs Blankets & Sheets Up to 62% OFF at HorseLoverZ.com! Shop Himalayan Rock Salt at HorseLoverZ.com! To be a cowboy or cowgirl for a few days is what it’s all about. Being matched with the perfect horse and riding out on the range, bringing in the herd. Sound great? Sign up to receive your copy of the free PDF guiding you to your next horse riding adventure. Visit Judith Blackburn's profile on Pinterest. purplesagewesternridinggear.com does not represent or endorse the accuracy or reliability of any information's content or ads contained on distribution through, or linked, downloaded, or accessed from any of the services contained on this website, nor the quality of any products, information, or any other material displayed, purchased, or obtained by you as a result of an ad or any information or offer in or in connections with the services herein. You hereby acknowledge that any reliance upon any materials should be at your own risk. Also on this site, there are some affiliate links. This means if you purchase an item, I will receive a small commission. You will not be charged more than the said price of what you purchase. Before making a purchase you need to rely on your own judgment. There are no guarantees for the results of products or service talked about.